Use our factsheets, action sheets and planning sheets to support your education for all awareness event or to learn the issue! Looking to do something exciting on your campus or in your community and want some inspiration? Check out the step by step instructions below to help you take action in different ways! 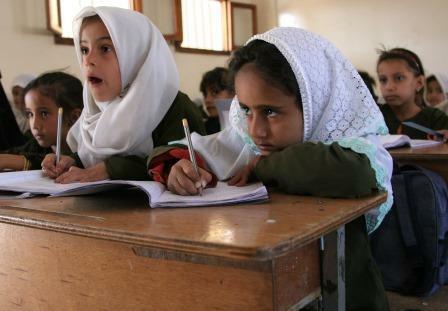 Community Letter to Chairmen Nita Lowey and Lindsay Graham and Ranking Members Kay Granger and Patrick Leahy urging full support of the International Basic Education account in the fiscal year 2020 State and Foreign Operations Appropriations Bill, April 2019. Congressional Letter to Chairman Nita Lowey and Ranking Member Hal Rogers urging full support of the International Basic Education account in the 2020 State and Foreign Operations Appropriations Bill by funding Basic Education programs, March 2019. Recommendations to the United States Agency for International Development (USAID) Strategy on International Basic Education Draft for Public Comment , July 2018. Letter to Ambassador Green and the United States Aid for International Development (USAID) urging USAID to attend on behalf of the U.S. Government the Financing Conference for Global Partnership for Education in Dakar, Senegal on February 2, 2018.